As the sun sets on another year we leave 2014 behind. We clear the table ready for all that 2015 will bring. Taken with iPhone at Sammy,s Seafood Glenelg South Australia. 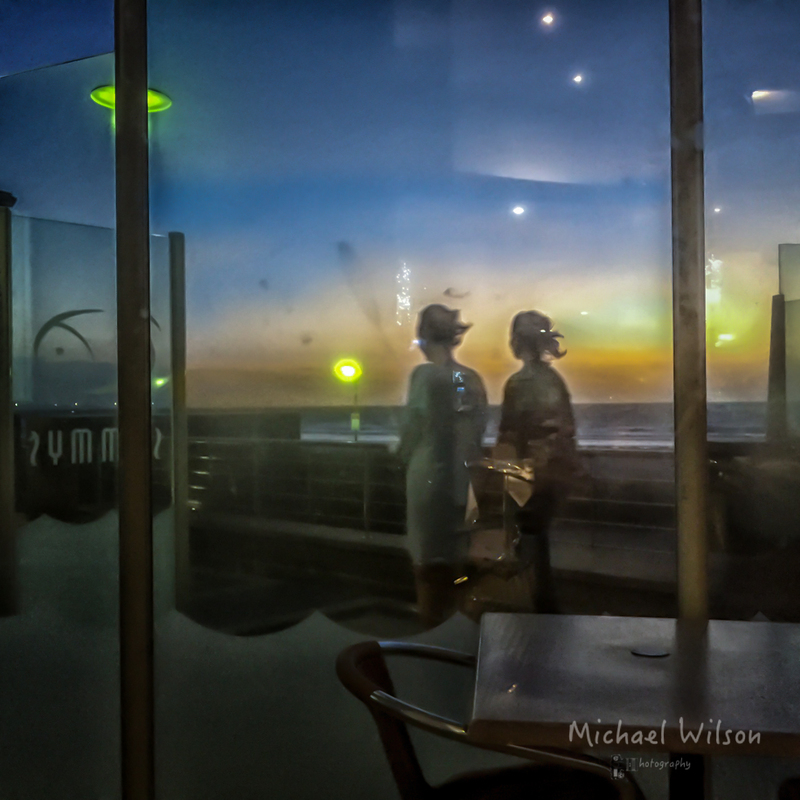 This entry was posted in Photography and tagged Adelaide, Adelaide Street Photography, City, colour, Glenelg, iPhone 6, Lightroom, People, Photography, s Seafood, Sammy, Street Photography. Bookmark the permalink. Very nice image. I love the soft palette and soft image in the reflection. Yes on the iPhone’s camera. I’ve been playing with some new clip on lenses. They are a hoot, especially the fish eye. Very nice ! happy new year! Thanks, I know Angaston well great part of South Australia.